Directories are an essential fixture for office buildings and large businesses. From an off-the-shelf directory display to a custom one designed and manufactured especially for you, we have the right solution for your facility. We’ll even handle everything needed to keep the directory up to date as time goes by. Multi-tenant directories are often paired with wayfinding and ADA signage, and Signs4Success has expertise with all of them. 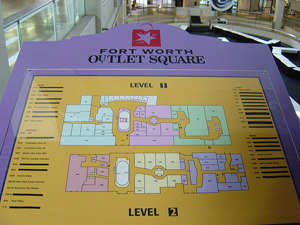 We can create a signage plan that is coordinated and represents your building well - all while being easy to understand. Just give us a call and we’ll take care of the rest.